No additives or artificial ingredients. 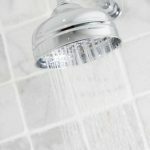 Our premium all natural water softener salt crystals are washed, screened and dried before being packaged. Available in 40 lb bags (63 per pallet), 50 lb bags (49 bags per pallet) and bulk delivery by the ton. 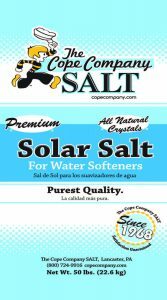 Cope’s Premium Solar Salt Crystals are a favorite among our customers.